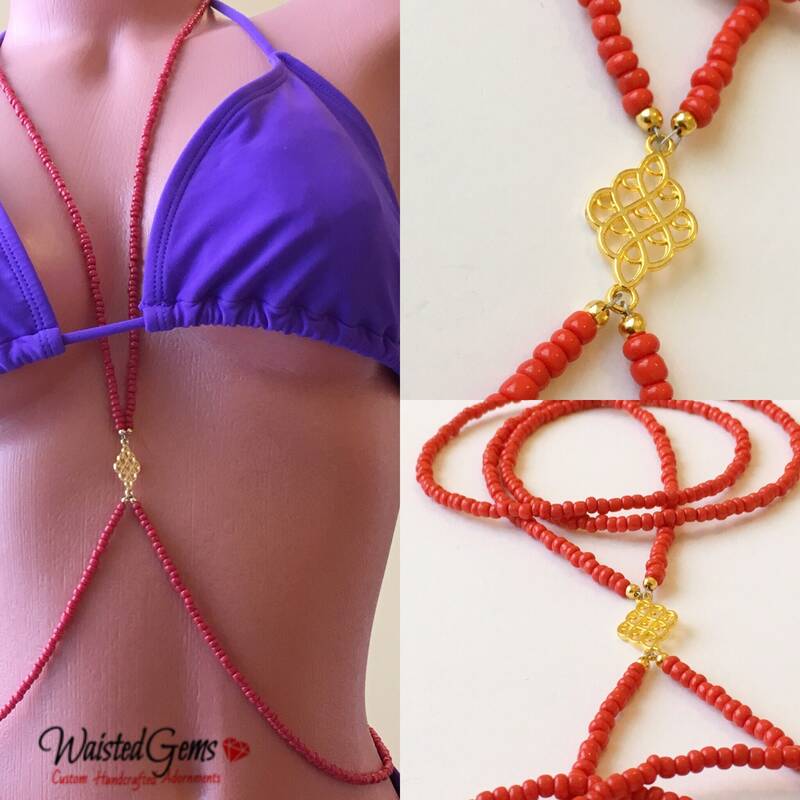 Body Chain is crafted with red seed beads with a goldtone center finding on durable beading wire with a goldtone clasp in back. 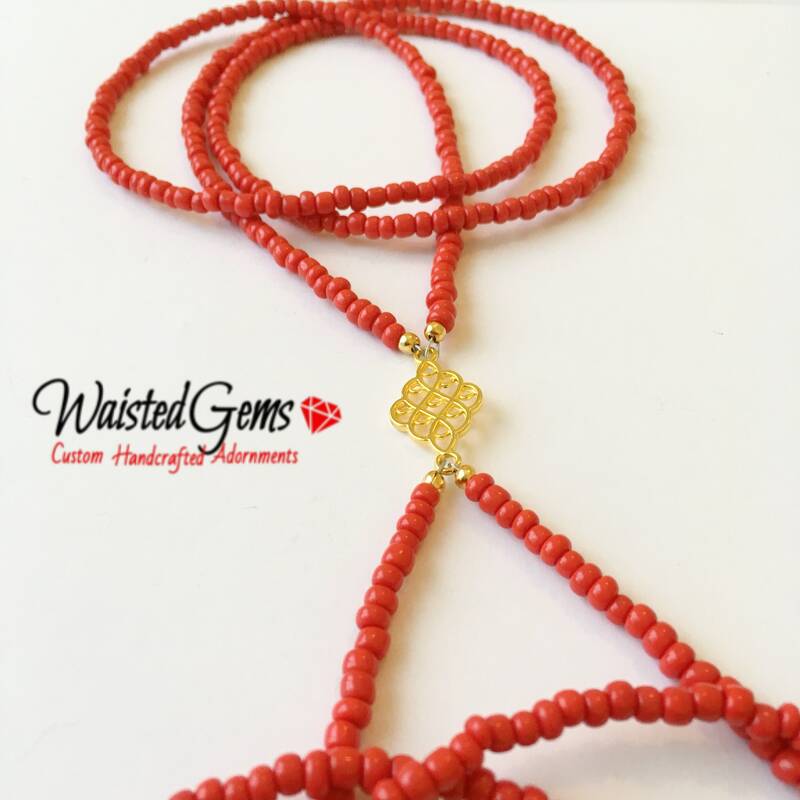 The neck piece is made to go over your head and the bottom portion is made to be clasped in the back. 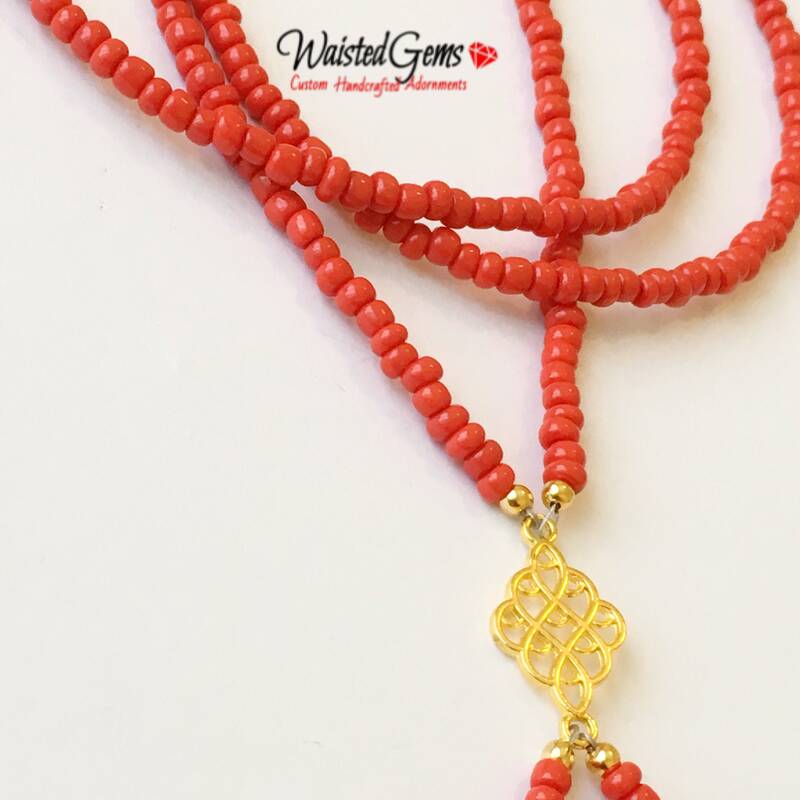 You will have an option to choose your bead color with this listing. If you choose black a silvertone center finding will be used by default unless you message me to do otherwise. *To keep colors bright and popping, you should not wear them while bathing on a regular basis. Awesome. You can see that it was handcrafted with love.